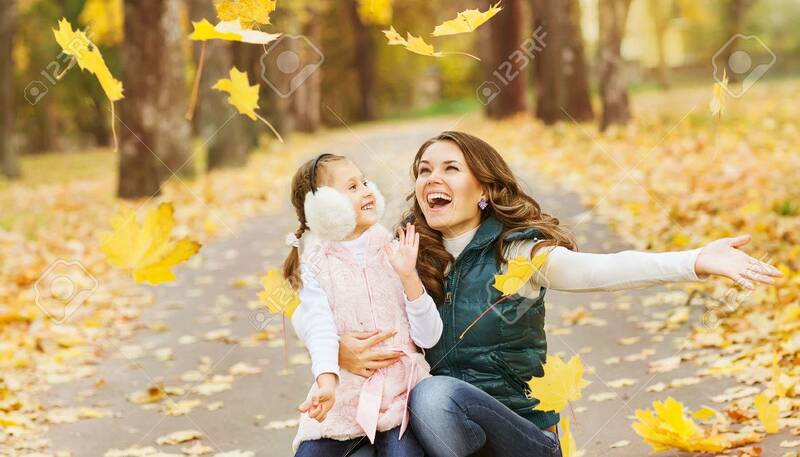 Mother And Daughter Having Fun In The Autumn Park Among The Falling.. Stock Photo, Picture And Royalty Free Image. Image 24258063. Stock Photo - Mother and daughter having fun in the autumn park among the falling leaves. Mother and daughter having fun in the autumn park among the falling leaves.